Here is another of the 4 animated videos produced by the British Humanist Association. They are all narrated by Stephen Fry. This one deals with aspects of morality – an important subject where the voice of non-theists is often ignored. Here’s a book for lovers of animals – and philosophy. But also for those who are willing to delve into the evolutionary origins of human morality. Interested readers need to know – this is a book about philosophy, not science. I guess this makes the book more interesting to philosophers than scientists. And some familiarity with the philosophers whose arguments the author quotes and criticises will add to that interest. This leads him into definitional issues. We consider moral agents, moral subjects, etc. Moral subjects can act on the basis of motivations such as emotions and feelings. But a moral agent has the ability to reflect on these motivations and actions, can explicitly formulate or understand the principles behind the action and may be able to adopt an impartial perspective of the sort required for a sense of justice. Rowlands sees many, particularly social, non-human species as being moral subjects. But only humans have the ability to reflect, deliberate and consider abstractly, to be moral agents. Many of the philosophers Rowlands argues against will demand that morality requires more self-awareness and abstract consideration than we normally consider possible by non-human animals. Thereby restricting morality to humans. However, research into human morality show that rational consideration and abstract thought occurs very rarely in moral situations. In fact our reactions have to be almost automatic and unconscious, as there just isn’t time to apply abstract thought or consult holy books and learned papers in ethical journals. If human animals relied only on rational consideration and abstract thought for their morality the species just would not have survived. Using this book’s terms in many ways and many situations humans, although capable of moral agency, will behave as moral subjects. Rowlands discusses this in his philosophical arguments and provides explanatory examples. But this could have been helped by the scientific evidence showing that a lot of human moral actions are unconscious. The continuity inherent in an evolutionary understanding of animals blurs customary distinctions between human and non-human animals. It’s therefore not surprising that moral concerns, emotions and feelings as a major reason for action are shared by human and non-human animals. Even among humans the degree of moral agency can vary. Some individuals may be more morally autonomous than others. They may often indulge in abstract moral reasoning, discussion and reading. They may possibly consciously reject some contemporary moral ideas and values. Other individuals may not be so reflective. Their rational consideration may be restricted to rationalising the automatic behaviour they exhibit. And they may be more unquestioning of the contemporary social mores and customs. They may even be willing to rely on social and religious authorities as the source of their moral values. Moral agency for many humans may be more potential than actual. The book does not really discuss the way humans learn their morality during their development, or manage to adjust their moral codes to accommodate changing social values. Not surprising as it is about non-human animals. But it does discuss briefly the somewhat equivalent role of training that can influence those non-human animals who live closely with us. Some of this training can involve moral concerns – such as where pets are taught to be careful with young children. I give more credence to scientific findings than philosophical deliberations. However, these are interesting in this case – even if more for characterisation of different philosophical schools. But while such deliberations may well appeal to the philosophically inclined by their very nature they usually cannot settle the argument. At times I felt the book had a tendency to philosophical argument at length where reference to empirical evidence may have sufficed. Another criticism I have is the occasional use of Latin terms without definition. And use of philosophical shorthand not usually familiar to the lay person. However, I felt the author’s presentation is careful. He gives reminders of his own position from time to time so one is not trapped into thinking he is advocating another position when he is merely outlining opposing arguments. This is helpful to the reader. On balance I think the thorough philosophical consideration in this book does complement other, scientific, texts. For example, consideration of differences between moral subjects and moral agents provides a clearer picture than use of terms like “pre-moral” which authors like Frans de Waal and Michael Shermer have resorted to when describing the moral behaviour of non-human animals. Rowlands provides a philosophical clarity to the scientific findings. Rowlands does not distort the science on this issue – he uses it honestly. Some philosophers are not honest when discussing issues related to non-human animals. They can resort to subtle differences in definition – even to motivated reasoning, usually to support their own bias. W. L. Craig’s recent attempts to claim that non-human animals might feel pain but don’t suffer is a rather blatant example. He misrepresents the science in his justification – claiming humans are the only animals with a pre-frontal cortex necessary for the self awareness required to experience suffering. (Misrepresenting science so as to use it as “evidence” for his religious and supernatural beliefs is a common trick of Craig’s as anyone familiar with his treatment if cosmology knows). Craig also relies on selective definitions if awareness, self-awareness and suffering to bolster his argument. (See this video for details). Peter Singer is one of the best known philosophers, especially on ethical questions. His book The Life You Can Save: Acting Now to End World Poverty makes the case for charitable giving from the viewpoint of secular ethics. In it he answers many fo the questions and uncertainties people have about charity – especially how to give appropriately depending on one’s own circumstances. And how to give effectively – ensuring that your charity has the best possible effect. Peter Singer: The why and how of effective altruism. See also: A sensible Christian perspective on Peter Singer – my review of Charles C. Camosy’s book Peter Singer and Christian Ethics: Beyond Polarization . Last night the New Zealand Parliament overwhelmingly voted to go ahead with the marriage Equality Bill. A common comment is that it’s time had come. It would have not been possible 10 years ago. Is this just an example of moral relativism, laws and rules being decided by what is fashionable? By our current whims and fancies? The situation which is supposed to result from subjective morality. Or does it illustrate progress? Are we getting better at deciding what is truly “right” or “wrong?” This implies that there are some sort of objective standards – an objective basis for human morality. I argue for the second position – you can see that from my earlier posts “Objective or subjective laws and lawgivers“ and “Subjective morality – not what it seems?” This is like Matt Dillahunty‘s argument – “If it was wrong then, it is wrong now.” If we decide today that marriage equality is morally right, then it was also right 10 years ago when we didn’t recognise that. Slavery, racism, discrimination on the basis of race, gender or sexual orientation may have been socially acceptable in the past. We may have believed them to be OK morally. 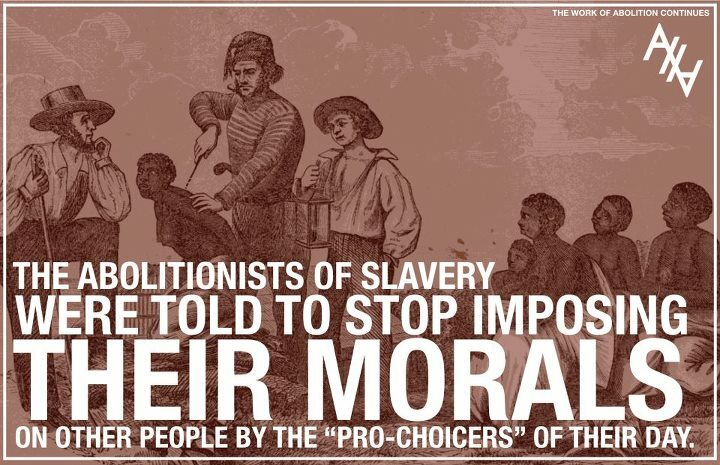 But they were still morally wrong. Marriage inequality was socially acceptable 10 years ago, but it was still morally wrong. I say that because I think there is an objective basis to human morality. At least on some issues, we can say there is a “correct” moral decision – even if society doesn’t see it. That “correct” position does not depend on popular vote, fashion, or the whims and fancies of a leaders, society, a divine “lawmaker” or a god. In “Subjective morality – not what it seems?” I briefly outlined an objective basis for human morality derived from evolved biological value. I won’t develop that further here, although I recognise some people find it controversial. But if there is an objective basis for human morality why do we see the differences we do between different societies and cultures? Why do we see this moral drift within our own society? Despite an objective basis in our evolved biology our moral decisions can differ over time and place. What drives these differences? I also compared our moral system to a modern camera in the last post. Most people in most situations use their moral camera in the “auto mode”. It’s far more efficient to rely on feelings, emotions and our reaction to them than to consult our “holy books” or carry out a logical consideration for each moral situation we face. We would have gone extinct long ago if that was the way we worked. Mind you we are more a rationalising species than a rational one. An individual considering their response to a moral situation is not necessarily using good or unmotivated logic. They rarely are. In fact modern research suggests that inevitably our feelings and emotions are involved in our apparently reasoning, logical considerations. So the manual mode is far from perfect (and admit it, how often do you make mistakes when you use your camera’s manual mode). Reasoned consideration of ethical situations works better when more than one person is involved. Rationalisations are more likely to be noticed. Diverse opinions can be represented. But there is still no guarantee that it results in the “correct” moral decisions determined by the objectively based nature of our values and the situation being considered. I think, though, like scientific knowledge it is something that improves with time and experience. Society can recognise the mistakes of the past, correct them and learn from them. Another reason is that our human nature is complex. We may have an inbuilt tendency to empathy and the golden rule, but we also have inbuilt tendencies to violence, and to a tribal “them vs us” mindset. We are a complex species, our interactions with other humans, and with members of other species is also complex. We are not always going to make the “correct” ethical decision – even when we think we have applied careful reasoning and involved multiple viewpoints. There is always the option of in future correcting our mistakes of the past. Effectively the NZ parliaments was doing that last night. It was recognising that previous marriage legislation had problems and that the Civil Unions Act they passed 8 years ago had still not resolved all of them. 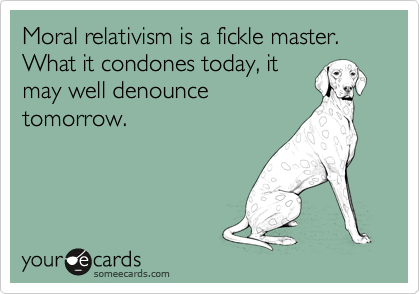 On the whole, I think our drifting moral values indicates progress and not moral relativism. In my next post on this subject I will discus how deliberate and intentional use of our moral camera in the manual mode can also adjust the auto mode. And even if you never use the manual mode you might find that your auto mode tends to update itself. Ethical enquiry or moral instruction? There has been a raging debate locally about the religious instruction classes in New Zealand public schools. I commented before that the Churches Education Commission, who run this programme, are hiding behind the provision of values teaching in the school curriculum (see Human values are secular). This is somewhat opportunist because it promotes the idea that religion is required to teach morality (“you can’t be good without God”) and that their activity accords with the secular curriculum. It also ignores the fact that values is already taught in the normal classes. The video below gives some idea of how values can be taught as part of a secular curriculum – its worth comparing this with the bible story mythology used by the Churches Education Commission (I provided some examples of their curriculum in Human values are secular). The classes shown in the video were developed by the St James Ethics Centre in Australia. They were trialed as an alternative to the Scripture Instruction classes in a number of public schools in New South Wales. The trial was so successful a larger programme now operates and is provided by Primary Ethics Limited, a public company founded by the St James Ethics Centre. It is effectively operating in a similar manner to the Churches Education Commission here (school “closed” during lessons, voluntary teachers, etc) – except it does not yet have charitable tax exemption in the way that the church’s programme does. (It won’t be able to get it on grounds of advancing religion). I am not suggesting this set-up as an alternative for New Zealand – partly because I can imagine that when a school is closed to provide separate Christian and secular classes (and logically Hindu, Muslim, etc., classes) the divisions created could cause playground trouble. In fact all children should participate together in a programme exploring human ethics, whatever their religion. Dividing children up according to sectarian interests would only impose moral instruction, which treats children as puppets to be indoctrinated, rather than training them to become morally autonomous. If the current values component of New Zealand’s curriculum is done well I imagine classes would be similar to that shown in the video. Below I have extracted some topics from the curriculum offered to children in NSW. Have a look and compare that with the mythology imposed on children by the Churches Education Commission in New Zealand’s religious instruction classes. Finding answers to different kinds of questions. Children will begin to distinguish ethical from other kinds of questions and learn how to disagree respectfully. What do animals need in order to live good lives? Examples: Pushing in, staring, table manners, please and thank you. Why do people have friends? How do we know if someone is our friend? What makes a good friend? Discussing what is fair in a variety of situations familiar to Kindergarten students. A discussion around what secrets are and when it’s OK to share them and why. Do rules apply to everyone? What if there were no rules? Classroom/school-based examples. Should we tell on people who do the wrong thing? Is it always OK to swing on the branches of a tree? Or to collect shells from the beach? Or catch tadpoles in the creek/small crabs/ insects…? How do we decide what’s OK to do? Should Human Rights be extended to other animals? The value of nature and the environment. Does nature have intrinsic value? Is the environment worthy of moral consideration just because it exists? Or does it have value only because it meets human needs? Can war ever be just? What is wrong with war? Is it ever right to go to war? Students will examine the issue of pacifism and non-violence (e.g., Ghandi) and discuss if there is a moral way to conduct war. Consideration of our moral responsibility to others. To what extent do we have a responsibility to continue examining and discussing ethical issues once we leave Primary Ethics classes? Should we always stand up for our beliefs? I think such discussion topics would be a very useful part of values classes – and I am sure the kids would enjoy the discussion. See also: Primary Ethics Curriculum.